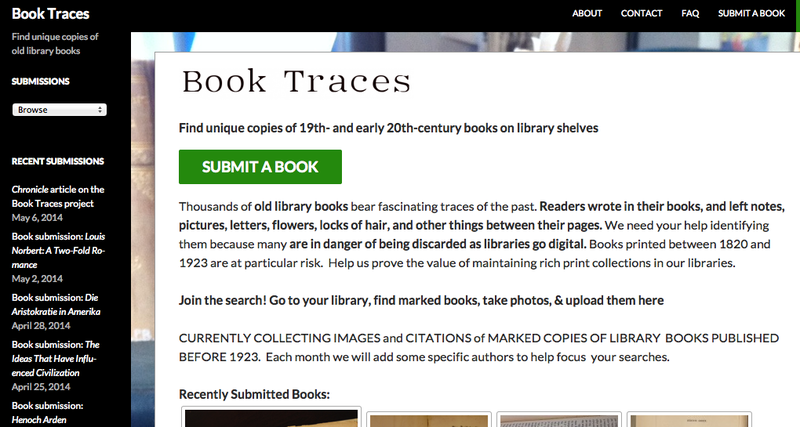 The University of Virginia recently launched Book Traces, a project that allows students to submit books (1800-1923) from the university’s library stacks that exhibit interesting notes, marginalia, or inserts by previous owners with the goal of saving nineteenth century material culture. An online exhibition that marks the 40th anniversary of Georgetown’s Lauinger Library with a look at the origins of the University’s book collections. In 2011, the University of Pennsylvania Rare Book and Manuscript Library launched the Penn Provenance Project on the image-sharing site Flickr with the goal of identifying provenance by crowd-sourcing and tagging digital images with their bibliographic information. Since its inception, it has exceeded one million views and identified previously unidentified stamps, inscriptions, and other provenance in their collection. Renamed the Provenance Online Project, it now posts provenance images from a number of sources. University of Pennsylvania scholar Mitch Fraas created a Mapping Books blog to demonstrate his research on the history of Penn’s rare books. 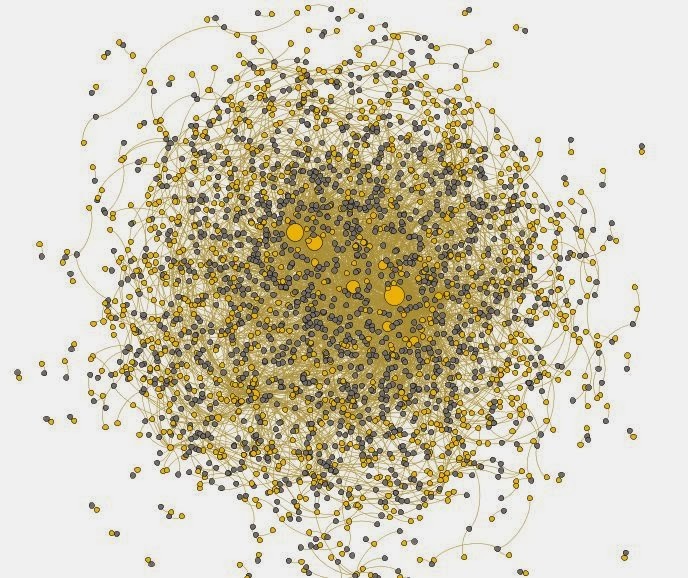 Much of Fraas’ work deals with mapping the movement of books using original locations, owners, and subject fields of Penn’s rare book and manuscript collection. In 2012, the Harry Random Center and archivist Micah Erwin launched the Medieval Fragments Project on Flickr with the hopes of identifying binding waste from medieval manuscripts in their collection through crowd-sourcing and tagging by date and region. By January 20, 2014, the Medieval Fragments Project reached 67,000 views and 94 of their 116 medieval fragments were identified. In 2008, the Boston Public Library created a Flickr photostream to showcase historic photographs in its collection. Since then over 91,000 photographs have been shared, allowing viewers to “comment” and “like” their favorite images. 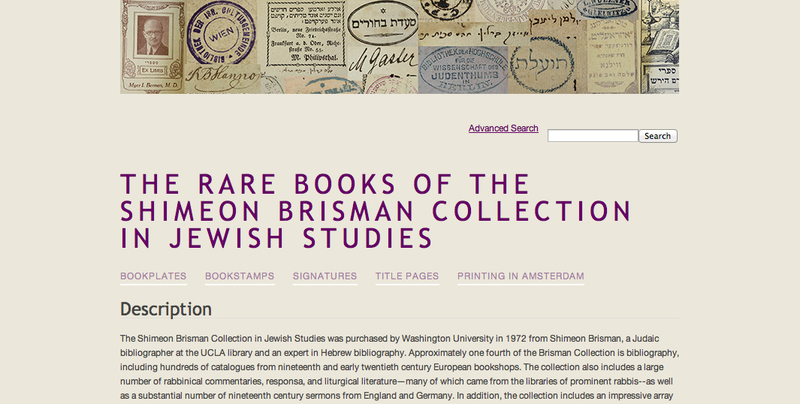 The Rare Books of the Shimeon Brisman Collection in Jewish Studies uses Omeka as an image-sharing archival platform to showcase 400 rare books from the Shimeon Brisman collection at Washington University in St Louis. These books capture Jewish history, culture, and thought, and serve as a valuable resource for modern day scholars. I AM so EXCITED to find your web site. I beg you to answer me. I am a Franciscan Sister of Christian Charity in Manitowoc, WI. We opened an 1873 Motherhouse cornerstone in October 2015!!! and inside a small corroded metal box we found civil war coins, paper money AND a booklet …paper…folded in half and folded down at the top. It is terrible dry and fragile. I have taken numerous pictures of the cover page and back page. Today I decided to try and OPEN it. much of it has fallen apart BUT…at the bottom of one page was a fragment address: …uhlbauer & Behrle 311 W. 12th Str. Chicago. German that I am I took a chance and did “Muehlbauer etc. and YOU came up. I am trying so hard to identify what the booklet was. It has drawings inside. I took pix of the pieces I could salvage. I can’t get anything more apart. I will laminate what I have to save what I can. Do you think there’s a chance you could identify this booklet for me? I’d even come down there to show it to you!!! Manitowoc isn’t that far away. Please reply. My name is Sister Caritas and my email is: scaritas@fscc-calledtobe.org. The Green Bay Diocese paper “The Compass” recently ran an article on the cornerstone. I will look forward to hearing from you. Thanks so much for your email. What a wonderful find! Please email some photographs of the booklet to us at JesuitProvenanceProject@gmail.com. Not sure if we can identify them, but we would love to see them!